Halloween! I used to not be a fan of Halloween. Can you believe it? I was as child of course. I mean candy. Come on! When I reached adulthood I could take or leave Halloween. I used to live in a neighborhood where no one decorated. I had no trick or treaters. There was no fun in that at all, so Halloween wasn't special to me. I moved a little over 2 years ago and that changed. I'm all about finding any reason to decorate and thankfully I live in a neighborhood now who shares my view. It certainly helps that I live right next door to Disney World and have a bunch of Disney Cast Members as neighbors. They like the holiday spirit. Everyone is in the Halloween spirit here and I get tons of trick or treaters now! I love Halloween now. I decorate my house inside and out and I'm reader for trick or treaters tonight! 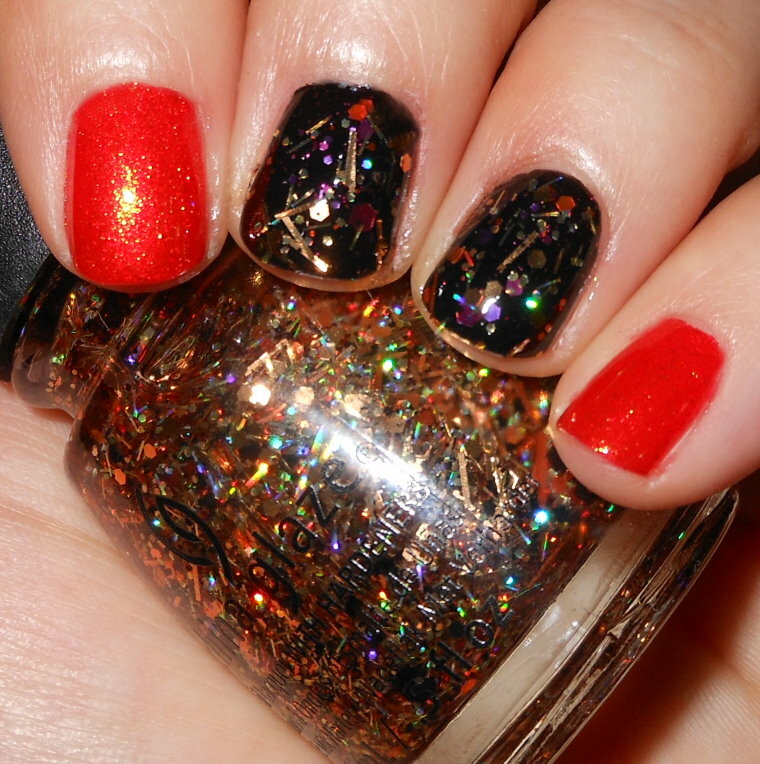 HPB's mani theme this month was Halloween naturally, so here is my Halloween inspired mani. Polished Used: China Glaze Riveting, KBShimmer You Go Ghoul!, KBShimmer Eclipse, and China Glaze Rest in Pieces. Check out my fellow HPB member manis below!